In 2103 war graves were photographed in Germany, Denmark, the Netherlands, Malta, France, Karachi and Singapore. By the end of 2013, more than 27,000 photographs had been collected by the New Zealand War Graves Trust since the project began. Commander Brett Fotheringham RNZN joins the New Zealand War Graves Trust as a Trustee. Brett has had a diverse career in the New Zealand Defence Force working in a range of operational, training, administrative and policy-oriented roles. He trained as a Seaman Officer and served at sea in a variety of Navy ships. He has been seconded to The Treasury and served a Base Manager of Scott Base, Antarctica. He has served with the United Nations in Cambodia and Afghanistan and represented the NZDF as Defence Adviser Pacific and Defence Attache Bangkok (responsible for Thailand, Cambodia and Vietnam). He is a graduate of Auckland University and has a Master of Philosophy from Cambridge University. His father served in the Korean War and grandfathers and great uncles in World War I and II. Despite a cool and wet spring in the northern hemisphere, all the photographs which the New Zealand War Graves Trust contracted for in New Zealand were collected from Belgium. This part of the project was possible thanks to funding from The Trusts Community Foundation and from the Four Winds Foundation. Belgium was scene of so many World War I battlesthat it has graves and primary memorials (where there is no known grave) of more than 5000 New Zealand casualties. The contracted gathering of images from Belgium gets under way. Dan Stevenson becomes an advisory trustee to the New Zealand War Graves Trust. Dan Stevenson is a consultant with the Wellington law firm Izard Weston where he was a partner from 1964 to 2010. He was educated at Wanganui Collegiate, Victoria University and Cambridge University and was admitted to the United Kingdom bar. He has been a director of several companies and served for 19 years on the board of Works Consultancy/ Opus International Consultants Ltd. He has had a lifelong association with farming through his 2000-acre property at Titahi Bay and he was president of the Wellington Club from 2007 to 2010. He comes from a family with long military associations—his son was a Major with the SAS—and has a particular interest in military aircraft. Roy Clare CBE, Director of the Auckland War Memorial Museum, agrees to be an advisory trustee ex officio to the New Zealand War Graves Trust. He was appointed Director of Auckland War Memorial Museum in 2011. He was Chief Executive of the Museums, Libraries and Archives Council in the UK from 2007 and from 2000 to 2007 Director of the National Maritime Museum in Greenwich. A former Royal Navy admiral, Roy Clare was awarded the CBE in June 2007 for his services to museums. A keen yachtsman, he competed in the first Whitbread Round the World Yacht Race in 1974. Photographs were purchased of war graves and primary memorials in Scotland, the Orkney islands, Wales, Chester, Derby, Yorkshire, East Anglia, Wiltshire, Gloucestershire, Herefordshire, Cornwall, Scilly Isles, Devon, Staffordshire, Derbyshire, Nottinghamshire, Worcestershire, Leicestershire and Northamptonshire. At this stage, there were still a considerable number of small cemeteries in the south east of England to complete, notably in the Greater London area. Larger numbers are in the cemeteries in the south, Brookwood (234 casualties) and the names on the Runnymede Memorial (662 casualties). Vincent Lipanovich becomes a Trustee of the New Zealand War Graves Trust. Vincent at the time is War Memorial Liaison Officer at the Auckland War Memorial Museum where he has a variety of programming roles. Late in 2011, Vincent is appointed Visitor Services Manager at the Auckland War Memorial Museum, responsible for the Front of House experience of the visitor. He also continues to undertake War Memorial and Ceremonial activity and protocol roles for the Museum. Vincent has an MA (Hons) degree in history from the University of Auckland and is a board member of the Orewa Theatre Trust. Letter of support from From Lieutenant General Rhys Jones, Chief of Defence Force. He writes: "The New Zealand Defence Force places great importance on all activities that commemorate the lives of New Zealanders who have made the ultimate sacrifice for their country during time of war. I am therefore very supportive, as is the New Zealand Defence Force, of the aim of the New Zealand War Graves Trust to capture photographic records of all the memorials to New Zealanders in the Armed Services who have died during operations." It was with great sadness that we received the news that Denis McLean died on 30 March, 2011 at his home in Khandallah, Wellington. Denis, as a trustee of this project, will be sorely missed for his enthusiasm, political and military acumen, and thoughtful contribution. But most importantly he will be missed as the warm and generous friend he became to us all. Photographing the cemeteries in Syria, Egypt, and Libya was substantially completed along with Spain and Gibraltar. Photography in Tunisia was commenced but had to be abandoned due to the unrest there. We are grateful to the following organisations for their support for this stage of the project:: First Sovereign Trust($30,000), Four Winds Foundation ($10,000), and Mt Wellington Foundation ($10,000). We thank New Zealand Lottery Environment and Heritage Committee for the grant to develop and redesign the New Zealand War Graves Trust project website. This exciting development goes realising our dream of making these images freely available to everyone. Dr Rodney Wilson, an advisory trustee of the New Zealand War Graves Trust ex officio as Director of the Auckland War Memorial Museum had continued in that role after leaving the Museum. He resigns to focus on other commitments. He had originally signed the Memorandum of Understanding with the New Zealand War Graves Trust on behalf of the Museum. This agreement for the Museum to be the final repository of the work of the New Zealand War Graves Trust gave the Trust and its project confidence to go ahead. 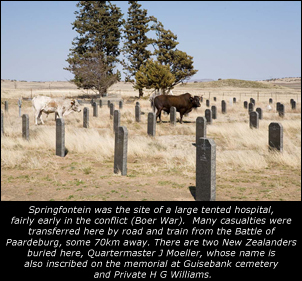 Research has always been part of the New Zealand War Graves Project and considerable time has been spent reconciling differences between the various listings of New Zealand casualties from the Anglo-Boer War(1899-1902) up to present day peace-keeping operations. We have had considerable help from a number of individuals who have freely made available to us the results of their years of research. As part of our research we have discovered that a substantial number of New Zealanders (either by birth or residence) lost their lives serving with non-New Zealand forces; especially with the RAF, RAAF, Royal Navy, and Australian Army in World War I and World War II. Some of these areas have been well researched (in particular the air force casualties by Errol Martyn) and others have not been researched at all. The New Zealand War Graves Trust has decided to include these casualties, where they can be identified, as part of our project. 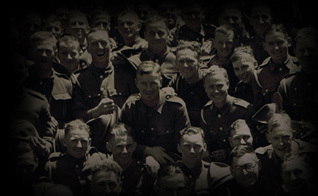 Work has commenced on identifying those casualties who died whilst serving with Australian forces and we are grateful for a grant from SKYCITY Auckland Community Trust which funded this research. Former Deputy Prime Minister, and Secretary-General of the Commonwealth, Sir Don McKinnon, agrees to become patron of the New Zealand War Graves Trust and Project. Funding was raised to complete the photography of Italy, Switzerland and Austria. Thank you to the following organisations for their support:- First Sovereign Trust ($25,000), Four Winds Foundation ($5000), North and South Trust ($5000), Eureka Trust ($5000), Pub Charity ($3000), White House Tavern Trust ($3000), and Mt Wellington Foundation ($2000). Judge Mick Brown retired as patron due to an increasing number of other commitments. During his term as patron Judge Brown did much to advance the cause of the Trust and we miss his warmth, humanity and insight. Photography of Thailand, Myanmar, Malaysia, Singapore, Indonesia, Bangladesh, and parts of India (Kolkata, Ranchi, Imphal, and Gauwhati) were completed. Photography of Thailand, Myanmar, Malaysia, Singapore, Indonesia, Bangladesh, and parts of India (Kolkata, Ranchi, Imphal, and Gauwhati) commenced in November. We thank First Sovereign Trust who provided a grant for this work. Also a thank you to the Southern Trust who provided a grant to purchase additional camera equipment. The new equipment has permitted the automatic logging of the GPS coordinates of each grave and memorial as they are photographed. "This clearly demonstrates our awareness of the debt owed to those who have died for our country, which was poignantly marked with return of the Unknown Soldier to Wellington for burial at the National War Memorial. 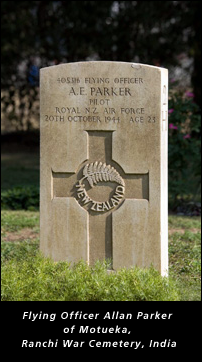 The New Zealand War Graves Project would be a timeless commemoration of those who have gone to war, and not returned." Despite the advantages of modern travel, many people are unable to visit the war cemeteries and see the graves of their friends and relations. "The proposed database and photographs would be a wonderful way for them to have a link with their loved ones, and for future generations to be able to learn about those New Zealanders. I support this worthy project and would encourage any agency to help financially so that all New Zealanders have access to this very important part of our national history through the database and the photographs that would be the result." In Anzac week, the New Zealand War Graves Trust successfully held an exhibition of its photographs and stories from New Zealand, New Caledonia, Tonga, Samoa, Hong Kong, Korea, Japan, Australia and South Africa. The exhibition was officially opened by Judge Mick Brown, patron of the New Zealand War Graves Trust, and was held in Auckland at the Ranfurly Veterans Home, a new and welcome association for the War Graves Trust. 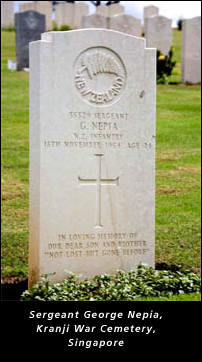 Dr Mapp said he knows how families can be moved by the sight of a distant war grave of a loved one, as he once agreed to photograph war graves on Crete for New Zealand families, when they were not able to see the sites for themselves. It is a nice coincidence that the New Zealand War Graves Trust was inspired by just such a photo from Suda Bay of the grave of Private W. G. Bain, N. Z. Infantry, died June 2, 1941, aged 23..
Don Milne and Denis McLean welcomed as new trustees. Photography of Southern Africa and Australia completed as far as research to that date could ascertain. It was thanks again to the Caversham Foundation who provided a grant for this work. Photography of Southern Africa and Australia commenced. Photography of Japan, Korea, and Hong Kong completed. We were grateful to the Caversham Foundation who provided a grant for this work plus photographing graves in Southern Africa and Australia. 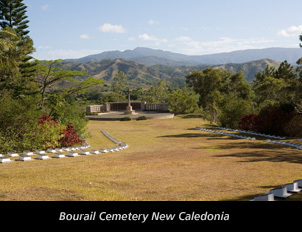 Bourail, New Caledonia and Vanuatu photographs complete. Letter of support received from Leader of National Party John Key. Photography of Western Samoa and Fiji completed. 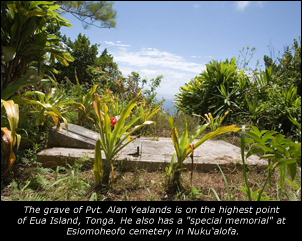 Photographing of graves in the Pacific begins, thanks to the Caversham Foundation which provided a grant for photographing graves in Samoa, Fiji, Bourail in New Caledonia and Vanuatu. Photographing graves in North Island complete, bar a handful of hard-to-identify sites. Judge Mick Brown agrees to be Patron. Auckland lawyer Rebecca Macky joins as a trustee. Photographing graves in the South Island complete. Photographing started in the North Island. Photographing graves in New Zealand commenced started in the South Island. The photographer thanks all those people in the South Island who helped in locating graves and providing background information. Donation received from the Wairoa District Council. Major grant received from The Trusts Charitable Foundation to fund photographing graves in New Zealand. Donations also received from the Rodney District Council, South Taranaki District Council, Manukau City Council, Invercargill City Council, and Waimate District Council. Donations received from the Clutha District Council. Donations received from the Waikato District Council, Taupo District Council, Kaipara District Council, and Queenstown Lakes District Council. Grants received from the Caversham Foundation and the Scottwood Trust. Offer of surplus vehicle from New Zealand Defence Force. Grants received from the South Auckland Charitable Trust and the Pelorus Trust. Support for the project received from The Hon. Judith Tizard, Associate Minister for Culture and Heritage. Agreement reached with Auckland War Memorial Museum to receive the archive and host the website for integration with “Cenotaph”. Support of The Hon. Peter Dunne, Leader of United Future Party. Support from the Green Party, via Mr Keith Locke MP. Support from Lt Gen Mateparae, Chief of Defence Force. Grant of $5000 from the “Year of the Veteran” fund, Dept of Veterans Affairs. Incorporation of New Zealand War Graves Trust. Support from Dr Don Brash, Leader of the National Party. Initial meetings with Mr Bruce Ralston, Auckland War Memorial Museum re integration with “Cenotaph”. Support from Mr Don McKinnon, Secretary-General of the Commonwealth. Obtained list of casualties from Ministry – research grave locations etc. Support from the Commonwealth War Graves Commission. Support of the AGM of The RNZRSA for the project. Presentation to Auckland Regional Meeting of RSA – Support of Auckland Region – introduction to John Campbell, National President. Meeting with RNZRSA National President John Campbell and Dr Stephen Clarke (historian RNZRSA). Photographs for booklet from Hillsborough, Tauranga, Waikumete cemeteries, etc and design of first booklet. Meeting with The Hon. Judith Tizard, for advice on how to proceed project. Beginnings of the project - playing with ideas.